Just back from the department of Finistere on the southwest coast of Brittany. It’s a good thing the scenery is gorgeous because Brittany weather is consistently wet and windy. I did catch 2 sunny beach days at Pont-Aven one summer, but the sea was so cold it gave you a headache. If you thrive on the bracing coastal romance of Maine, Nova Scotia, west of Ireland and Scotland, then Finistere is for you. The holy grail of windswept scenery is La Pointe du Raz, beyond the village of Plogoff – a rocky promontory notorious with sailors for intimidating waves and deadly currents. Tourists were kitted out in hiking sneakers and anoraks with a hood. It was far too blustery for an umbrella or a rain hat, unless tied tight under the chin (not a winning look even for babies). 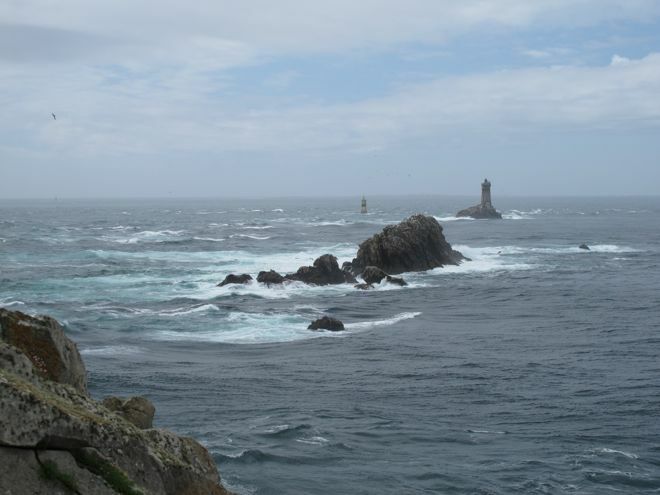 Pointe du Raz is France’s Land’s End, and became a major tourist destination after Victor Hugo and Gustave Flaubert extolled its savage beauty. “Here is the end of the old world; behold its outer limit. Over your shoulders lie all of Europe and Asia; in front of you the ocean, the endlesss ocean. **” Technically Flaubert got it wrong, as there are two other Brittany outcroppings that extend a tad further into the Atlantic, but neither has comparably sublime scenery. When crowds needed to be reined in at the risk of destroying the fragile ecosystem, Raz was designated a protected national park – one of France’s not-to-be-missed “Grand Sites”. Today’s pilgrimage is an orderly, didactic affair involving paid parking, a show-and-tell visitor’s center and jitney bus ride for the tired, infirm, lazy, or anyone who hopes to keep their hair looking good. On a clear day you can spy the low-lying island of Sein, just 5km offshore. Sein is a hardy fishing community with neither cars nor protected harbor, now threatened by rising sea levels. The sea was too rough for ferries to dock the day we were there. Finistere is the cradle of Basse (or low) Brittany culture. Basse refers to the western half of Brittany, where most locals spoke only Breton before it was outlawed in 1902. An unofficial border has existed since the 14th century between the Basse and Gallo (French speaking) eastern half of Brittany. The Celtic language formerly spoken in the west, is now being revived in bilingual schools throughout the peninsula, and promoted through numerous cultural associations and institutions, yet a mere 5% of the population (206,000*) speak it fluently. The profile of a typical Bretonnant speaker is a retired married woman with no educational degree living along the Finistere coast. Her husband was likely a fisherman, farmer or manual laborer and chances are that her children understand the language but don’t speak it. Ironically, the generation who speaks fluently is conflicted about Breton’s importance, as their parents (many of whom didn’t speak fluent French) were stigmatized as being primitive. What is now being taught in bilingual schools, and spoken on radio and TV, can be difficult for them to understand, as they speak more of a patois. The statistical trend isn’t promising for a living language, with less than 2% of school children enrolled in bilingual school and just 3% of parents transmitting it at home. However, the reality of a language in decline hasn’t tarnished its stature as a symbol of regional pride. We tuned into a Breton station for a few hours, and concluded that it’s unintelligible to French and English speakers. The only word I picked up was the German sounding “Ya” for yes. Breton most closely resembles Welsh, and like Wales, Bretons identify strongly with their traditions. Much of their identification is tied to a mythic past and heroic traits or stereotypes like rugged individualism and connection with nature. Bretons describe themselves in the third person as independent characters that are stubborn, rebellious, hard working and sensitive. Having grown up in an Irish American family, I recognize the disconnect between talking the talk and walking the walk. If I’d proposed studying Gaelic instead of Latin or French, my parents would have told me to have my head examined. Speaking with a brogue was a stigma, just as having a Breton accent is tied to a lingering sense of inferiority among many elderly Bretonnants. Unlike the Pays Basque, Brittany isn’t battling for autonomy or the sort of institutional independence Catalonia won in Spain. There’s a stronger sense of community here than in other regions of France, but also less xenophobia. Brittany voters have historically rejected the National Front party and tend to vote Socialist. While the rest of France considers the Brittany peninsula somewhat remote, Brittany has never perceived itself as isolated. The sea has always been its highway and its ports have welcomed visitors from Spain and the British Isles for centuries. It is closer to to England than Paris. The offer to be a video artist’s road buddy/logistical backup came from my husband Jeffrey, who concluded that as the youngest of our three children is soon to graduate lycée and leave the nest, it’s time to overcome resistance to accompanying him on working trips. The Arctic Circle (twice) and Bay of Fundy were easy to pass up, but he knows I’m a sucker for the French Atlantic coast, which has everything a landlocked girl from the Jersey shore craves, except sunrise over the horizon, salt water taffy and a boardwalk. For once, I don’t get to pick the destinations. The twelve filming locations are equidistant and his schedule requires we leapfrog up and back, starting at the Spanish boarder, stopping at six points heading north and after reaching Pointe du Raz in Brittany, head back to cover six points on the way back down – ending up around Vieux-Boucau-les-Bains in December. Creature comforts are my responsibility, being practiced at finding a charming chambres d’hôtes or intimate hotel*, and decent places to eat and drink. I’m not permitted to stray far a field from the filming location, as we have one car, and being PA on the project, I’m expected to set up and break down at appointed hours – which yesterday began at 7:30 am, with the thermometer registering 0 C, frost obscuring the windshield and a stiff wind whipping the filming tent atop the dunes. Agreeing to the scheme, I forgot that half the year – November through March, is pretty grim at the seaside, with shops and service establishments shuttered in all but larger towns midweek. Before Easter and after Toussaint, there’s a good chance many of the places I hope to see/try will be closed, but it is France, so there’s bound to be fresh seafood served somewhere, a boulangerie, and café with strong coffee, a galopin de bière, or verre de vin. It’s a great opportunity to discover destinations like Biscarrosse, that I mightn’t otherwise be inclined to visit, and fill in my regional knowledge gaps. The natural beauty of the Atlantic coast is stunning. Cresting the dunes and confronting a broad sandy beach stretching into infinity, with waves crashing and gulls swooping, is a thrill I’ll never tire of. Thanks to protectionism imposed by the Loi Littoral in 1986, a break was put on development. For an American from the east coast, it’s refreshing to note that a serious effort was made to develop hiking trails along the coastline and permit everyone access to beaches. So back to Biscarrosse, or ‘Bisca’ to habituees. It’s at the northern limit of les Landes, the 100 km of coast edged with pine forest that runs between Biarritz and the Bay of Arcachon in the Gironde. Les Landes has always been an isolated, sparsely populated region, although Biscarosse being an hour’s drive from Bordeaux, it is now becoming something of a bedroom community. The population swells more than tenfold in summer months, but now it’s getting to be lively year round – at least on weekends. For distraction midweek, Arcachon is less than a half hour’s drive north. Popular has two meanings here. Unlike Biarritz and Arcachon, which developed as fashionable bathing stations in late 19th century due to an influx of British and European aristocrats and captains of industry, Biscarrosse was popularized by working class French after passage of the first mandatory paid vacation law in 1936. That year, 600,000 salaried workers left home for the first time on paid holiday leave and many headed for the coast. By 1982, France’s mandatory 2 weeks of paid vacation had extended to 5, and the camping grounds and holiday bungalows around Biscarrosse-Plage and its sister town, Biscarrosse-Ville ( located between the shores of two enormous lakes) expanded along with the swelling crowd of vacationers. 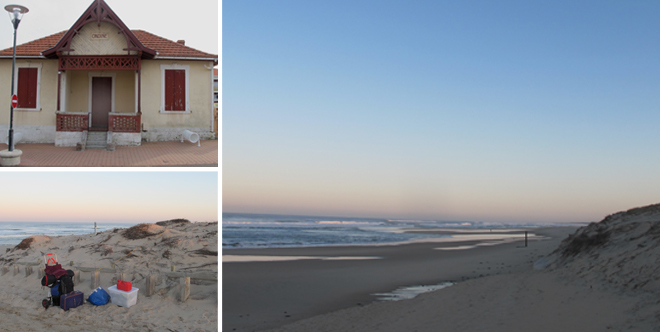 The beach at Biscarrosse has the added attraction of having two enormous fresh water lakes alongside it. Northern Lake Cazeaux is where most of the action is concentrated, along its south-west and southern shore. There is a Pierre & Vacances golf course resort, several sandy beaches, and ports filled with sail and motorboats. Because there is no access to the sea from the lakes, very few ocean going pleasure boats and fishing vessels pass by the on the horizon. It also explains why Biscarrosse hasn’t become a tony resort, as there is no ocean harbor for glitzy yachts to dock. Tents have disappeared from the camping grounds, replaced by RVs and bungalows. Several have five star ratings, with full service facilities, grocery stores, tennis courts, miniature golf, and a host of organized water sports and leisure activities. They draw families from all over France, along with a significant contingent of Dutch, German, Belgian and British tourists. 12 surf shops and 4 schools in Biscarosse-Plage testify to a boom in long and short board surfing, now a veritable craze along the south Atlantic coast. Surfing, like skate and snow boarding, has engendered a flurry of youthful tribes, with distinct subcultures. Along with surf shops, Biscarrosse-Plage has the requisite neo hippy clothing boutiques, piercing/tattoo studios and enough pizza and waffle shops to sate carbo cravings. The first summer vacation cottages were built in the teens, with subsequent development surges in the 1930’s, 50s and 70’s. Many of the period houses have been restored and added onto. Judging from some unsightly 1970’s apartment blocks and ugly commercial facades, it would seem that many of the old cottages were razed opposite the oceanfront promenade. The beach is majestic, as it is all along the Côte d’Argent, the longest and wildest sandy shoreline in Europe, which runs the length of the Landes and Gironde departments. The dunes are high, requiring strairways down to the beach. If you want to avoid high season crowds on the strip below the promenade, you can head a bit further north to Vivier Plage. Getting to the water requires a walk through the pines and a scramble down the dunes but the reward of relative isolation is worth it. Philippe Pascutto, the delightful host of Cote & Dune is a surfer himself and borrowed the theme as the design motif for his sunny, beach centric chambres d’hôtes. A native of the region, Philippe returned after 25 years working at an IT job in Paris to pursue his dream of living by the sea. His contemporary home is built around a central courtyard, replete with sleek pool and teak decking. All but one of the 5 surf themed guestrooms has a balcony, roof deck or terrace. Once air warmed to 10 C, the sun drenched balcony of pink hued ‘Malibu’ was a relaxing spot for a read, wrapped in a polar throw provided for just such occasions. Philippe has visited some of the world’s best beaches, and the guestrooms are decorated with travel books and funky-chic travel mementos from Hawaii, Brazil, Costa Rica, California and Australia, along with inventive shell and driftwood decorative objects created by his partner, a talented interior designer who oversaw the creation of the project in 2010. Elegant landscaping features succulent and native sand-loving flowing plants that create a harmonious counterpoint to the fresh, upbeat ambiance of the interior. The rooms are compact without being cramped, with well appointed open-plan bathrooms to optimize a sense of light and spaciousness. Breakfast is served at a long white table in the central dining section of your hosts’ loft inspired living area. In a designer’s home, nothing is left to chance and every detail, from the cluster of shells adorning your place setting, to the reglisse flavored ‘black honey’ and home made mini canelés, is picture perfect. Philippe has excellent suggestions for dining and touring. Having a good working relationship with local restaurants and the tourist office, he was able to quickly resolve a few logistical snafus. Once you’ve had your fill of beach-combing and walks through the pine forests, I suggest heading to Pyla and Arcachon, if just to see the idiosyncratic and often opulent architecture of villas in the old neighborhoods and climb on the tallest sand dune in Europe. On Sunday and Monday night, dining options around Bisca were slim, but we enjoyed a satisfying menu du jour at Le Bleu Banane, a contemporary bistro serving simple but well prepared French staples. It’s terrace ajoins the large central pedestrian square a few blocks back from the waterfront. The chef, a fourth generation local, filled us in on the history of the town. It grew up around a rail station for transport of resin tapped from surrounding pine forests. Resin extraction, which resembles maple syrup sugaring, was a labor-intensive process. Many of the resiniers were former shephards sqeezed out of a livlihood when more profitable pine forests were planted over their marshy pastures. They lived a simple existence in cabins, many of which were subsequently converted into summer cottages. The demand for domestic, natural resin diminished with competition from cheap overseas and synthetic supplies, and the industry died out in 1990. I should add that the 2006 Rioja he recommended was the ideal accompaniment to a perfectly cooked onglet de boeuf. Isolation provided by the biggest forest in Western Europe led to requisition in the 1960s of tens of thousands of acres just south of Biscarrosse by the French government to create Europe’s leading missile test center. The high security facility maintains a low profile and doesn’t seem to bother residents, in part because it has hampered coastal development. Despite initial aesthetic reservations, I left with fondness for this throwback of a seaside town. 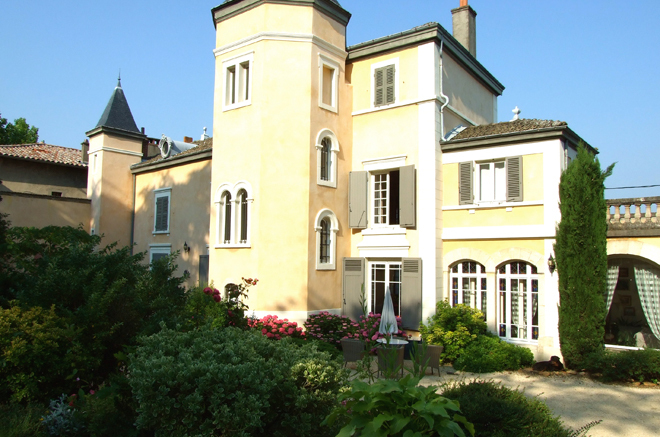 It is unpretentious and friendly; rare attributes for a French coastal resort. 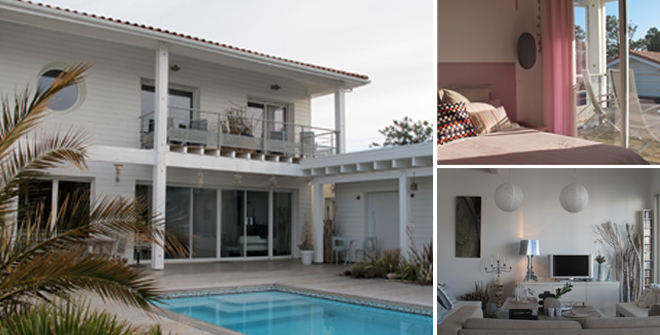 With real estate probitive in the oh so chic Gironde resorts of Pyla, Arcachon and Cap Ferret, Biscarrosse might just be on the cusp of a full fledged makeover. * I’ve not received a discount, let alone a freebee at any of the chambres d’hôtes or hotels mentioned in my blog. Just back from Marrakech celebrating New Year with family. It was my third time there (prior trips were sixteen and thirty years ago), but first chance to explore a full week. It’s changed considerably since 1994 – the transformational pace much faster than between my first two visits. Loss of authenticity is somewhat compensated by a boost in creature comforts. The resonating experience of this trip was a flagrant disconnect between codes of dress and comportment within the walls of the medina and outside in the former French quarters – Guéliz and Hivernage west of the old town. Shuttling back and forth induces microseism culture shock. 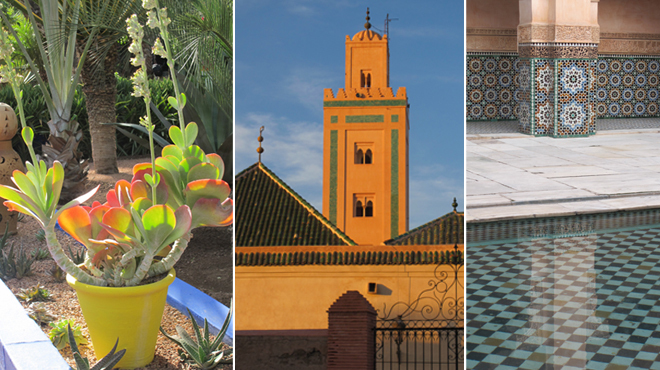 We rented a riad in the Kasbah section of the Medina, next to the Mosque, Saaidian Tombs and Royal Palace – a neighborhood where alcohol is verboten, most women wear a headscarf if not a veil, and both sexes never expose a bare arm or leg. The scene is very different around Guéliz Plaza in the Zara, Mango and Etam fast fashion chain stores – where Moroccan women wear tight jeans tucked into high healed boots and toss around manes of hair. Neighborhood clubs and restaurants like Café de la Poste, Lotus, Jad-Mahal and Comptoir exude a glitzy San Tropez party vibe, with pulsating music and extensive cocktail menus. Our driver/guide Mohamed, claimed that a third of tourists never penetrate the Medina and remain sequestered in outlying resorts, playing tennis or golf and lounging around the pool. I left with an eerie premonition that Marrakech 2011 has much in common with Havana circa 196O, or Beirut 197O, before Revolution and Civil War crashed their parties. Perusing Nassim Nicholas Taleb’s The Black Swan: The Impact of the Highly Improbable may have gotten to me (despite an inability to slog through it). The Lebanese born author describes how well connected family and friends were sideswiped by the cataclysmic changes brought on by civil war and hovered in deluded exile, anticipating imminent return to life, as they knew it. Ditto for Cuban elders in Miami. There’s also a whiff of Dublin’s ghost estates. If you drive out into the Palmeraies, resort properties and golf courses are going up cheek by jowl. It doesn’t take more than a few miles of cruising to detect a threat of serious over capacity. Legislation was recently passed barring foreigners from purchasing property that isn’t part of a development. It seems individual investors were jilting politically connected developers for a crumbling riad or rural kasbah. Like diaspora Irish lured during the Celtic tiger bubble, Marrakech real estate is heavily promoted to Beurs and Moroccan born Pieds Noirs. Ads at the airport pitch “return to your roots” investment opportunities “your holiday home for 100,00 dirham” (roughly 9,000 euros).